Both bankruptcy and defaulting on credit card debt hurt your credit score. 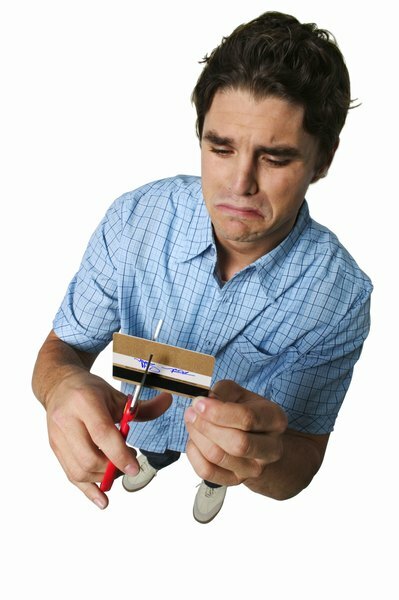 If you have huge credit card bills, you may be weighing your options, considering whether you should declare Chapter 7 or Chapter 13 bankruptcy, or just default on your credit cards. Any of these options means that your credit score will take a hit for years to come. 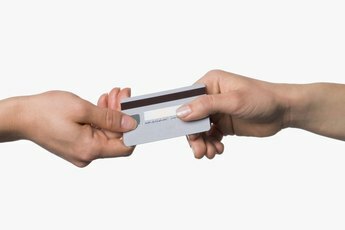 Defaulting on your credit cards may also cause other legal and financial consequences. Talk with a legal or financial professional before you do anything rash. If you don't pay your credit card bills, your creditors will first try to collect the money that you owe them by sending invoices and making phone calls to your home and perhaps to your job. 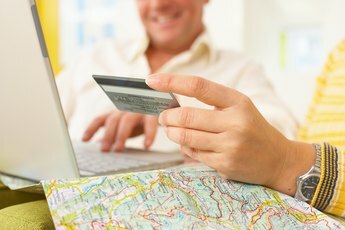 If these efforts are unsuccessful after several months, they may cancel your cards and charge off the debt. That doesn't get you off the hook; in many cases a creditor will sell your debt to a collection agency, where the whole process starts all over again. In extreme cases, creditors or collection agents will file a lawsuit against you to attempt to collect the money you owe. If the court upholds their claims, they win a judgment against you. Judgments give creditors or collection agencies the right to garnish a portion of your wages, which means that your employer would subtract the garnishment amount from your paycheck before you receive it. Creditors or collection agencies may also place liens against your bank account, which freezes some if not all the funds in your bank account, and which may result in overdrafts. There is a saying that "you can't get blood from a turnip." When you're judgment-proof, as far as creditors and collectors are concerned, you are a turnip, which means that you have no assets that they can collect. Federal law limits the amount that a creditor or collector may garnish from your wages to no more than 25 percent of your paycheck after taxes. The amount may be lower depending on your income and your state. In addition, income from veterans' benefits, disability pay and other government benefits is largely exempt from garnishment. You are also allowed to claim a portion of your personal property, including bank accounts, as exempt; the amount of your exemption varies by state. Charge-offs and judgments remain on your credit report for up to seven years after the date they are filed. In the meantime, creditors or collection agencies can continue to attempt to collect what you owe. By contrast, bankruptcy stays on your credit report for up to 10 years. However, once you file for bankruptcy, the courts place an automatic stay on creditors and collection agencies, which stops them from making any further attempts to collect what you owe. Once you receive a discharge for Chapter 7 or Chapter 13, you have no further obligation to pay any debts included in your petition. 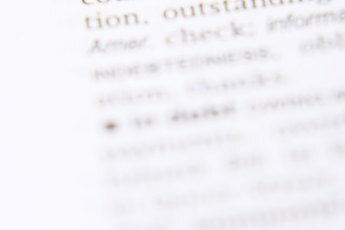 NEDAP.org: What is Exempt from Debt Collection? Bankrate.com: "Total Wreck" Might Also Be "Judgment Proof"
Lawyers.com: What is Wage Garnishment?